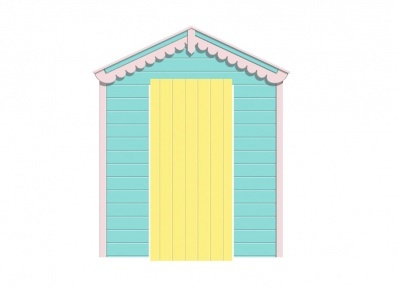 This colourful Beach Hut Mural is designed to fit on the wall around an existing door frame. It features a weathered wood texture finish to the painted panels. The mural is 218cm wide and 257cm high overall, and comprises three drops of wallpaper (one above the door and one on each side). 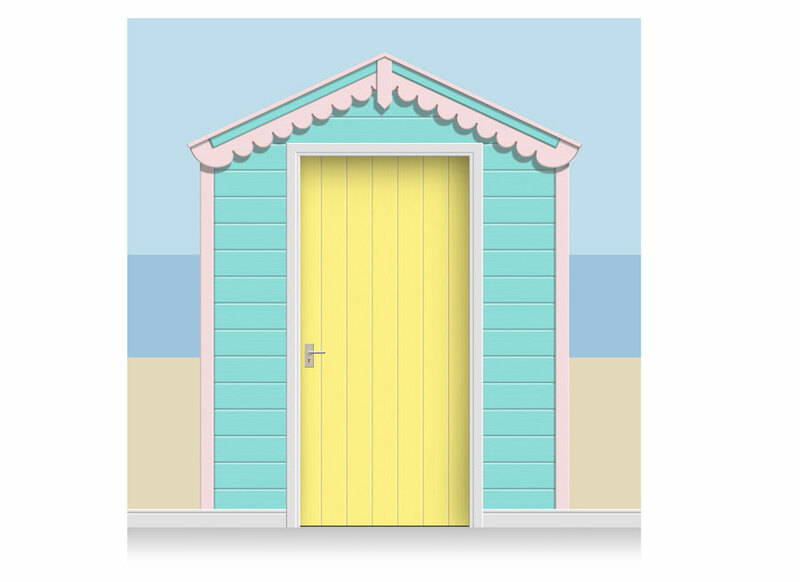 Also included is a matching Door Print. 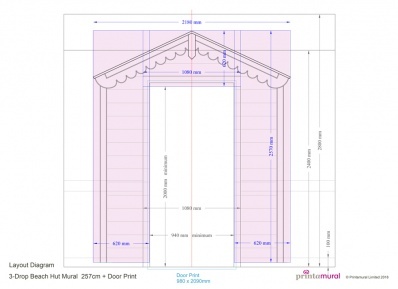 Please be aware that our Door Prints are only suitable for application to completely flat doors. 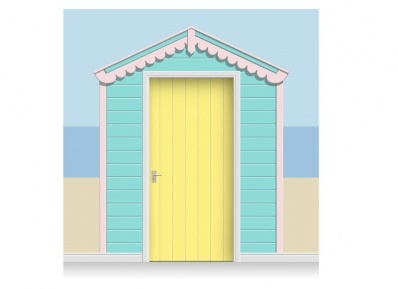 If you do not require a Door Print, please select the alternative Beach Hut mural without a Door Print.